There was a time when the hospitals smelled of disinfectants and the furniture in the hospital was so hard and strong that they would look quite intimidating. To visit a hospital or to get admitted there would make the patient and his family quite depressed. But now, the hospital furniture plays a very important role in the healthcare segment. They are not only made with the comfort factor in mind but are also quite critical to the success of medical treatments. They help the surgeons in performing surgeries and also provide safety to the patients. With the right kind of medical furniture, the patient feels comfortable and recovers faster after the surgeries. We are the leading medical furniture manufacturers in the country. By combining elegance and innovative designs with safety and usefulness, we ensure that our products are perfect for the hospital environment. 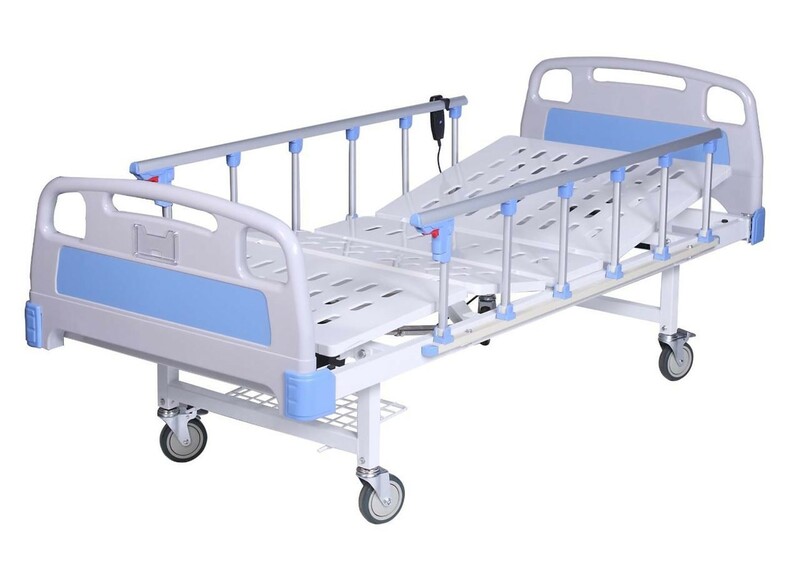 We have a whole range of items in our stocklist and are the leading manufacturers of hospital beds, hospital carts, stands, cabinets, ward furniture, baby furniture, bedside tables, etc. Our product range is developed under complete hygienic conditions, and are free from tin metals and toxic lead components. With the help of the cutting-edge technology, research and development, our products are made in such a way that they are safe to use and are high on performance. Keeping the client satisfaction in mind, our range is also available in customized versions. So, based on the requirements and preferences, the furniture can be designed with cosmetic changes. Not only are the furniture manufactured in hygienic conditions, we also use the latest technologies and infrastructure for creating world-class products. With experienced professionals working on the quality testing and manufacturing process, our products pass each and every test. As we cater to the health industry, we give utmost importance to the quality checking. We only recruit the best technocrats, skilled machine operators, quality controllers, sales and marketing executives and the warehousing experts. All these people ensure that the product reaches the hospitals in the perfect condition. We have a team of production people, who keep a close watch on the entire production process so that each stage is completely monitored. This is done to ensure that the organisation caters to the clients in the most efficient and effective manner. What do we deal in? Our furniture range is not limited to this. Visit our website to get more information and details on our entire range of products.